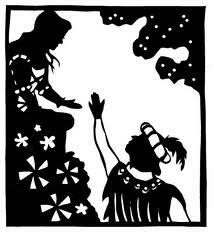 Sonnets in "Romeo and Juliet"
Shakespeare included rhyme throughout the dialogue of "Romeo and Juliet". On almost every page of the play, you can find examples of couplets or quatrains incorporated into the characters' dialogue. In addition, Shakespeare included sonnets in the play. To review, a Shakespearean sonnet is a 14-line poem that includes three quatrains followed by one couplet, with the rhyme scheme ABAB CDCD EFEF GG. Below, you will find two examples of techniques Shakespeare used to incorporate sonnets into "Romeo and Juliet." The rhyme scheme is included in purple. The most obvious way sonnets are included in "Romeo and Juliet" is as complete poems. Shakespeare also disguised sonnets within the dialogue of the play. In this next example (from Act I, Scene 5), you can see how this conversation between Romeo and Juliet is actually a sonnet.